– Six school districts in Kansas will close early this year, following budget cuts signed in March by Republican Gov. 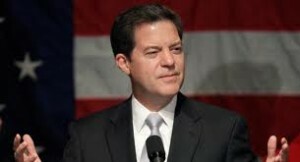 Sam Brownback. – Two school districts, Concordia Unified School District and Twin Valley Unified School District, announced earlier this month that they would end the year early because they lacked the funds to keep the schools open. This week, four more districts confirmed they would also shorten their calendars, according to the Topeka Capital-Journal. If the news sounds familiar, we learned earlier this month about two school districts that couldn’t afford to stay open for the full academic year. That number has evidently grown to six. And as we joked a few weeks ago, nothing says “21st-century super power” like American schools closing early because a state can’t afford to keep the lights on. With the latest projections painting an even uglier financial picture for Kansas, the Republican-run state government is eyeing possible tax hikes, most of which are regressive ideas that would burden the poor more than the wealthy.